Interesting and unique products, with character and personality. My most complex and in-depth creations. Enjoy! No-Questions-Asked Money-Back Guarantee and you keep your purchase. Cancel Any Time. Keep Everything. 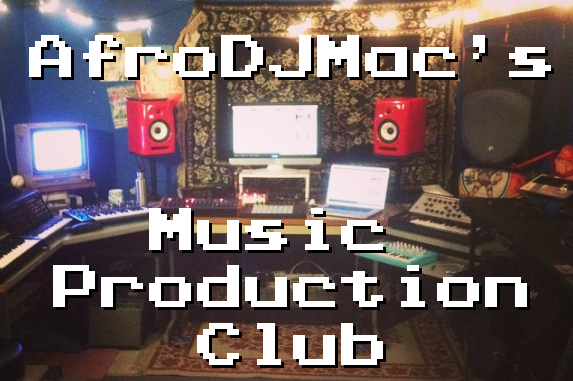 New music production tools every month. Special Offers and Free Stuff from: pATCHES, Subaqueous, Isotonik Studios, ELPHNT, Expanding Sound, Mode Audio, Music Gurus, BeatDrop, Ableton for Drummers, Isotonik Studios, Splice, DistroKid, We Make Dance Music, Reverb Machine. *Requires Ableton Live Standard 9.7 and above. I sampled all of the oscillators and tones on my Moog MG-1 Realistic Concertmate analog synthesizer, and then recorded them to my Tascam 388 8-Track Reel to Reel Tape Machine. The already warm, analog sound of the MG-1 gets caressed by the analog tape, and I turned those samples into 44 rich and fully customizable Ableton Live Instruments. Analog synths drenched in a sea of audio effects. Futuristic sounds from yesterday’s tomorrow. Make music with synths that came from old VCR tapes. Instruments from Nintendo and Gameboy sound cards. Synthesized strings inspired by vintage Science Fiction films. Beat making with drums straight from old VHS tapes. Powerful, room-shaking, low-end bass sounds. Faded memories told through analog synthesis. Hold a few keys and make a classic synth dance. Classic synthesizer sounds with a modern touch. Classic, analog synthesized brass instruments. Warm, fuzzy, pitch-drifting, vibe of vintage analog synthesizers. Quick pluck synth sounds for melody and percussion. Play instruments that came straight off vinyl records. 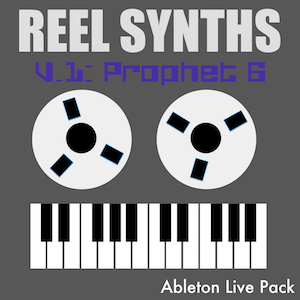 Prophet 6 analog synth sampled to reel to reel tape. Prophet 6 analog synth sampled to cassette tape. Relax and mellow out. No need to be so aggressive. Palettes of beats, melodies, and sounds. Realistic, detailed, round-robin sampled classical guitar. Unique and unusual drums made from a Moog synth. Sound of Roland’s JX-8P in Ableton Live. The staple of rock music: the electric guitar power chord. 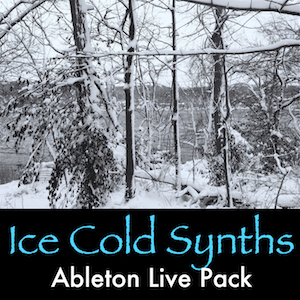 Winter-inspired synth textures, atmospheres, and instruments. Ableton’s Operator explores the bass sounds of dubstep. Charmingly lo-fi instruments with imperfect magic. Smashing classic drum machines with a classic filter. Capture, expand, and explore sonic moments in time. Allow a ukulele to live inside your computer. The tools for making authentic chip tunes music. Tempo-synced pads that move to the beat. 275 acoustic drum loops to quickly start making tracks. Synth pads built with the Roland Juno 106. Sounds of Korg’s classical polyphonic, analog synthesizer. Vintage, lo-fi, low budget toy instruments come to life. Moog MG-1 Concertmate sampled to reel to reel tape. Make deep, heavy bass-lines with kick drums. Timeless instruments from before time itself. Make it sound a little broken or just destroy it. Whooshes, risers, and fallers for seamless transitions. 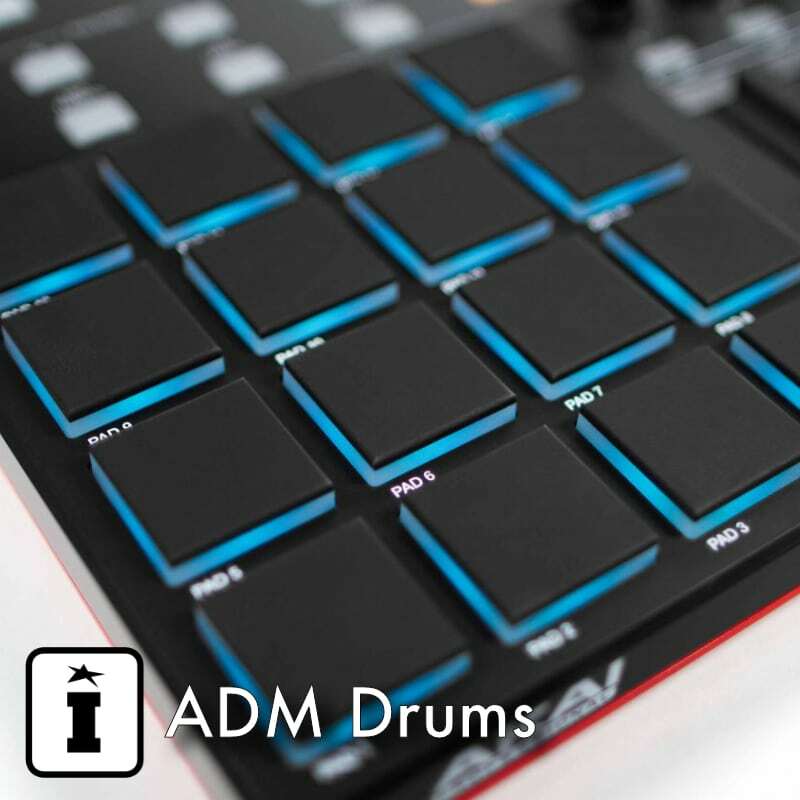 Over 1,000 drum fills to drop directly into your tracks. Powerful bass instruments made from a Moog synth. The sound of the classic vintage analog poly synth. Capture then expand upon the sound of the Polymoog. The aggressive bite of Arturia’s Mini Brute analog synthesizer. Exploring music within the sound of wind chimes. When the music sounds a little too clean. Layers of Prophet 8 sounds baked into synth cake magic. Classic FM synth sounds from the ultimate FM synthesizer. Multi-layered soundscapes become playable instruments. More powerful basses made from a Moog synth. 1985’s classic synth is warmer than ever today. Drums recorded to a Tascam reel to reel tape machine. Bleeps and bloops of Pocket Operators taken to new levels. Everything I’ve learned about performing music using Ableton Live. 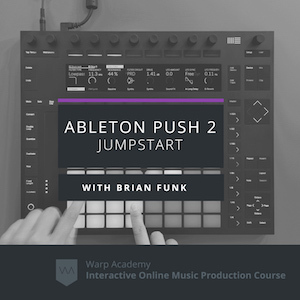 Learn how to use every feature of Ableton’s Push 2. Techniques and tips for sampling and creating unique instruments in Ableton Live. Give your music its own groove and style. 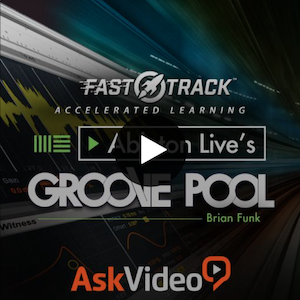 Master techniques for great grooves. Every sound pack in the store. All future packs will be added as they are released. The first 175 free Ableton Live Packs in one convenient download. 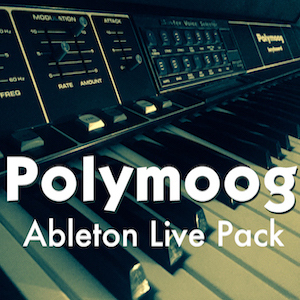 Get that Moog sound in Ableton Live. 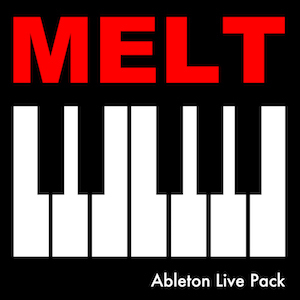 4 Ableton Live Packs in one. 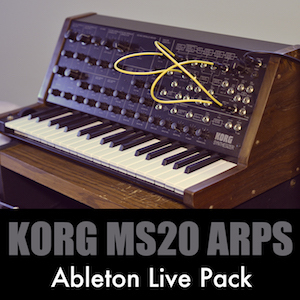 Over 100 pads, textures, and evolving sounds in a self-installing Ableton Live Pack. 123 bass instruments for Ableton Live, in a self-installing Ableton Live Pack. 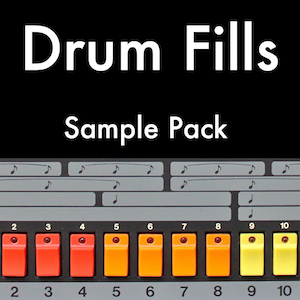 150 Drum Racks, 1000+ Loops, 2000+ Samples in a self-installing Ableton Live Pack. 116 Exotic and Mallet style instruments for Ableton Live, in a self-installing Live Pack.